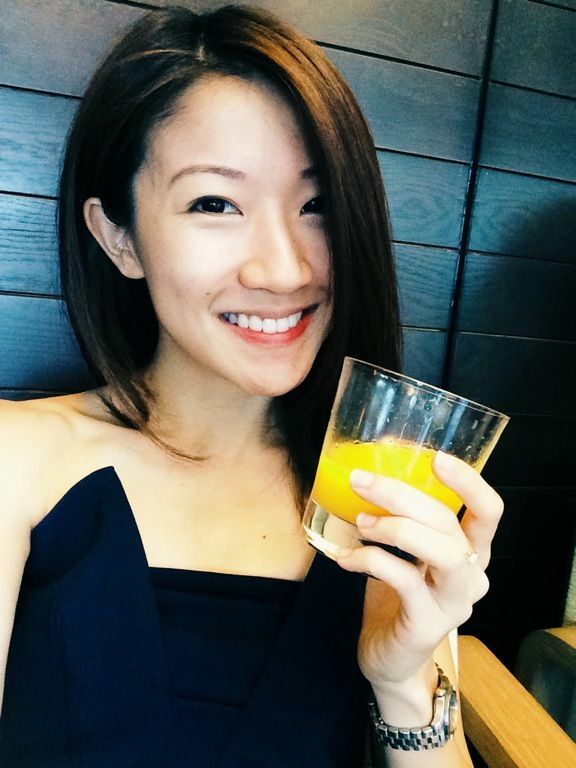 If you intend to 避年 (skip Chinese New Year) like I do, but don’t wanna miss out on the festivities, may I suggest a staycation at the lovely Capella, on the Singapore tourist island Sentosa (haha new branding), and tossing your way to prosperity at their onsite Chinese restaurant Cassia. Well the highlights for Chinese New Year is the Lou Hei ($38/pax min 2pax) and this you can’t get it overseas. 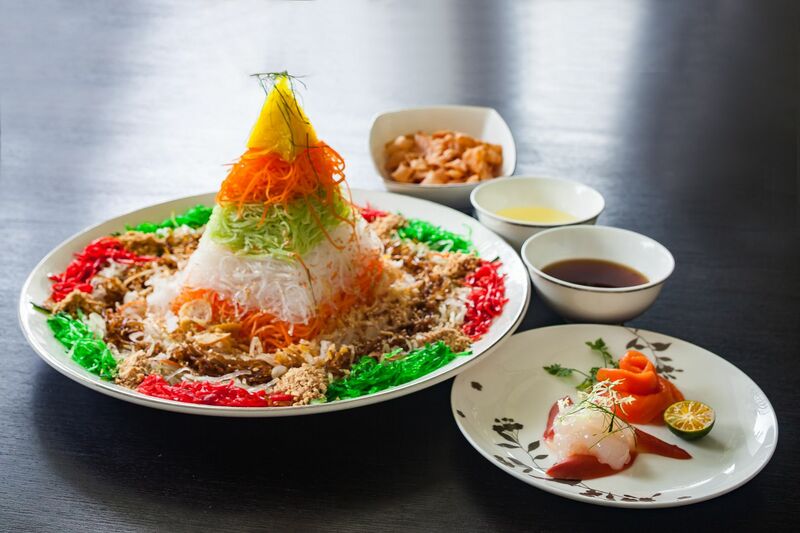 This colorful pyramid of vegetables, designed by the Executive Chef of Cassia, Chef Lee Hiu Ngai, uses a medley of premium ingredients. The sauce for 2018 is a hawthorn sauce, which adds a lovely berry tartness to the crunchy salad. Lobster, salmon, North Pole clam adorn this salad. 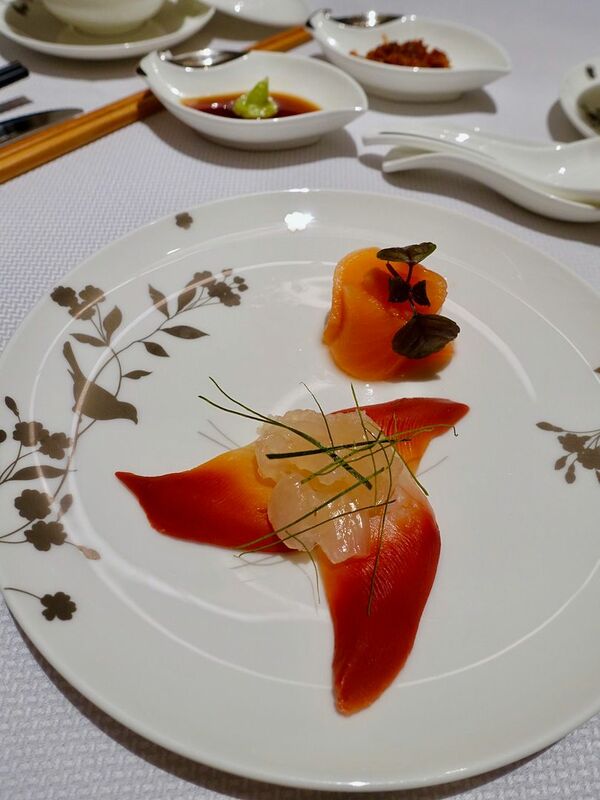 These are sashimi grade seafood btw, so it’s understandable if you don’t want them mixed into the salad but to enjoy them on their own. 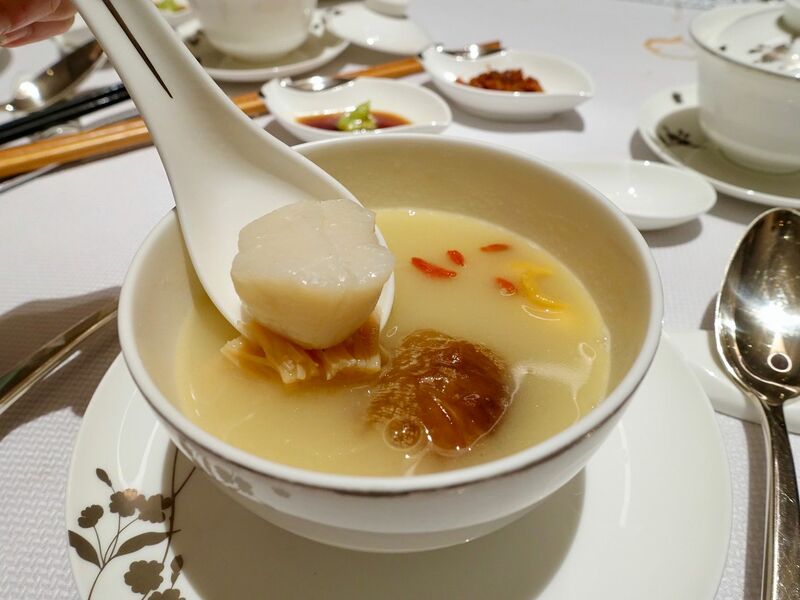 Do not miss the Double-boiled thick chicken broth with sea cucumber, fish maw, duo of scallop and flower mushroom soup. The rich, creamy soup contains all the goodness from the poultry and the seafood were succulent and sweet. I’m such a fan of Cassia’s soups! 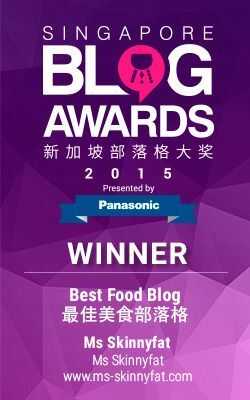 Another one of my favorite dish is the Wok fried prawns stuffed with minced shrimp and crispy garlic, 避风塘style. Live prawns are key for the sweet and umami flavor. It’s a nice mix of whole prawn and juicy and bouncy minced prawn paste. 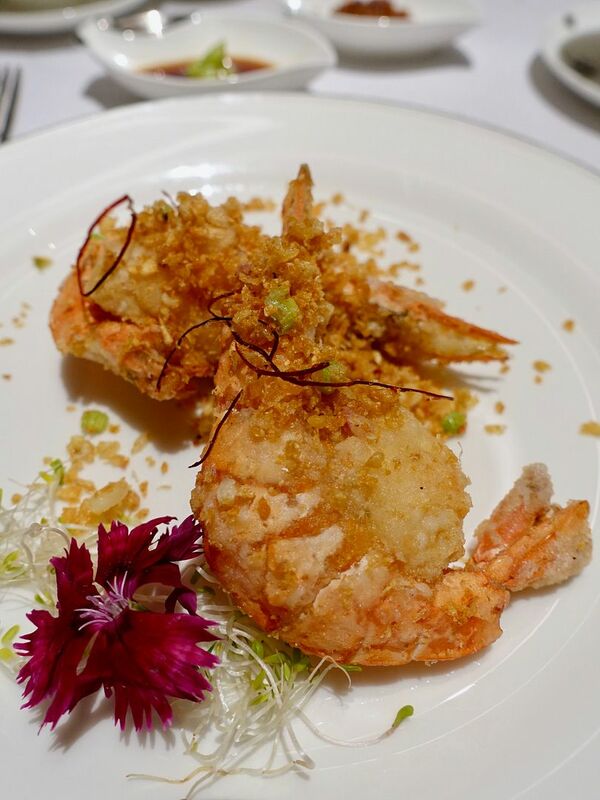 The thin crispy shell of the prawn could be eaten if you wish, as they have been deep fried to crispiness. Trust me, you’d want to lick the plate clean. 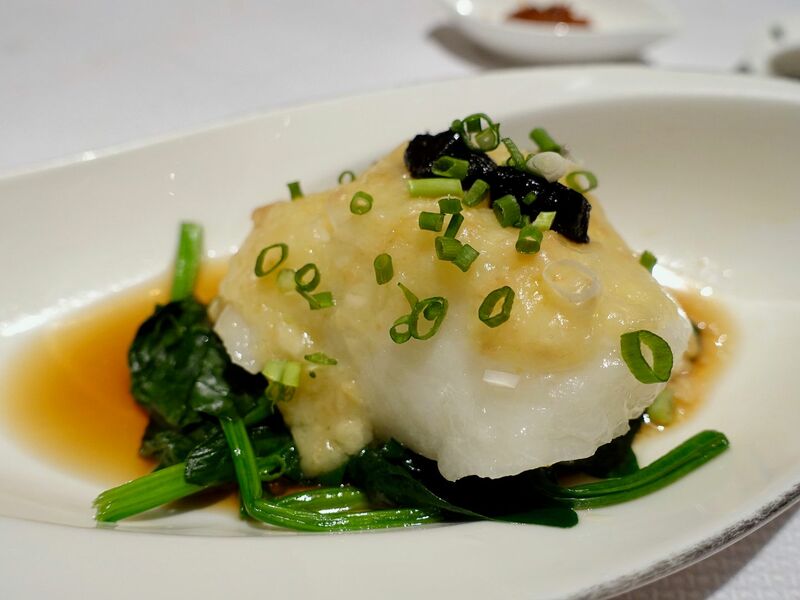 I'm not a huge fan of garlic but this Steamed cod fish with black garlic in light soya sauce was so good i polished every bit of that garlic purée which wasn't pungent at all. In fact, the dish had a lovely sweetness to it, punctuated by the plummy black garlic. If there's a carb i'd give up, it'd be rice. But i'll NEVER give up the fried rice at Cassia. This one has mini abalones, scallops, and preserved Chinese sausages in it. It tasted as good as it smelled and i could not stop eating the fluffy rice. The perfect ending to the night was the Chilled coconut cream with pearls and sago topped with ice cream. Such fragrant and luscious cream with soft sago pearls. 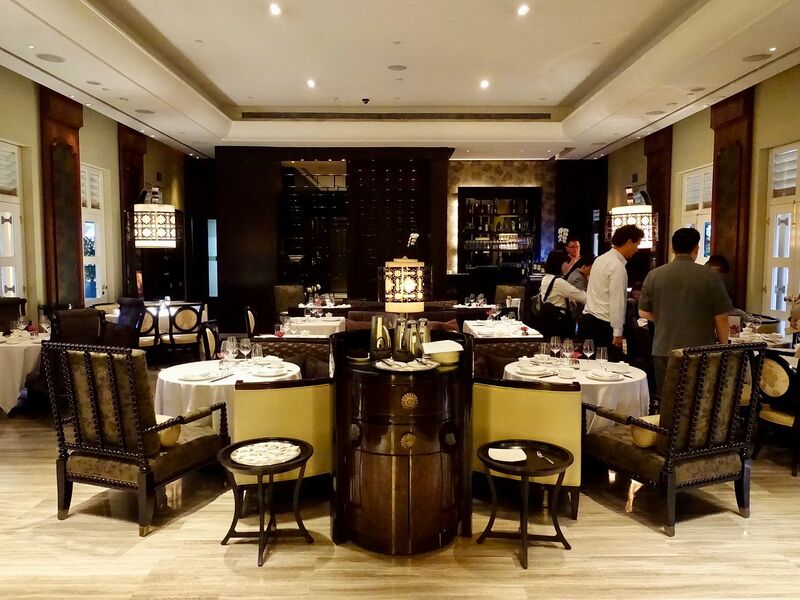 Cassia is offering various reunion menu sets priced from $88/pax onwards. Their Lunar New Year Set Menus are available from 16 February to 2 March 2018. Lunch operational hours are from 12- 2pm, and dinner from 6.30 - 10pm. GO. That's all i have to say.